One major lesson I learned in my first 10 days of silent meditation practice was that our mind is never quiet. Our brain always analyzes something. Thoughts and images pop up in our mind non-stop. These thoughts can be triggered by a sensation we feel in our body, by a smell, by a picture we see. Really by anything. Sensations are always present in our physical existence. Usually, we are to busy living our lives and not recognizing these subtle sensations we have all the time. They are pleasant and unpleasant and can influence what we think about. We all have sensations in our body all the time and think thousands of thoughts per day. For me, it took a while to figure out where my reality starts, but since I know it it has been a gamechanger. How you experience your life does not only depend on your circumstances but more on how you perceive your surroundings. We experience the world based on our thoughts and beliefs. Our thoughts are always the starting point for our reality. What we think about a certain situation will influence our results. The thoughts we are thinking influence how we feel. Our feelings influence our actions. And our actions give us the results in our life. No matter what you want in your life it always starts with your thoughts. Therefore it´s important to be mindful about your thoughts so you get the results you want in life. What thoughts are you thinking when it comes to realizing your dream? What are your beliefs about your ability to reach your goals? Which are the limiting beliefs holding you back from unfolding your true potential? Knowing these answers will help you to see where you need to make changes so you can create your best life. While thoughts and beliefs are either supporting or hindering you in creating your best life, limiting beliefs will always stop you from living your true potential. Limiting beliefs are nothing more, but self-limiting thoughts we keep on thinking over and over again. 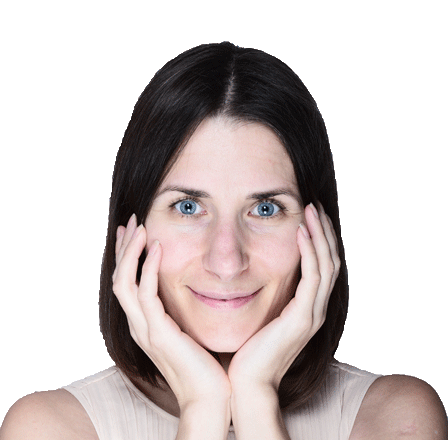 I´ve created a free short guide based on the 5 part mindset series about limiting beliefs with action steps you can take right now. As thoughts are the starting point to create your best life, you need to start with observing your thoughts. It´s easier said than done. We have about 60.000 thoughts per day from which most of the thoughts are negative and not useful. It’s because of our brain´s negative bias. Our brains are programmed the way to be more sensitive towards negativity. So it can assess the risk we are in and prevent us from danger. All our brain wants, is to keep us alive. Therefore it will always tend towards negative thoughts in any new given, unfamiliar situation. Buddhist monks like to call our minds the monkey mind. Because it´s so busy processing information. Thoughts pop in all the time. So how to train your mind to help you realize your dreams? Being mindful about my thoughts is what I found to be the key to success. I believe it will help you too. Therefore I share with you my favorite quick and easy mindfulness exercise you can practice anytime at home. Make yourself comfortable, preferably sit down, close your eyes and take 5 minutes. In this 5 minutes, you are just going to observe your thoughts. Don´t try to get caught up in them. Try to separate yourself from the thoughts and just observe. The goal of this exercise is to become aware of your inner chatter even if it´s just for a fraction of time. Repeat this exercise every day to become more aware of your thoughts, because they shape your reality. The more you are aware of your inner chatter, the more you can influence your thoughts into the direction you want to move in life. For further mindfulness ideas, I created a guide with 21 mindfulness tips for you. DOWNLOAD THE FREE MINDFULNESS GUIDE HERE. There is the idea that we can think positive thoughts to cover up our negative thought and everything will be fine. Harvard Medical School Professor, Susan David proves us wrong. She suggests to detach ourselves from our internal experiences and just to pay close attention to them instead. Without judging and without trying to change them. By observing our thoughts and feelings we can learn about ourselves. Use the exercise above to get started! We should be aware of our thoughts and feelings instead of pushing them away because research shows that whenever we push our negative thoughts and emotions aside it won´t disappear but come back to us in a magnified manner. Another interesting fact she is sharing is that pursuing happiness won´t make us happy. Whenever we focus on trying to be happier we magnify the lack of happiness in our lives. On the other side, living aligned with your core values is the secret to living a happy life. By going for your dreams and doing what you love, happiness will be a natural by-product. Our feelings are strongly interlinked with our thoughts. Whenever we are happy, sad or angry it’s because we thought certain thoughts before. We can´t experience an emotional feeling without having a thought about it. Whenever you feel sad, happy or angry for example you can check your thoughts and observe which thoughts you are thinking at that moment. If you are sad you don’t think happy thoughts. You will think thoughts that make you sad. This is good to know because whenever you check your thoughts you realize that you have the power to think what you want. The purpose is not trying to be happy all the time. In fact, it won´t work, because our life experience is always a mix of positive and negative feelings. This is an essential part of our human experience. However, you can use this knowledge to influence your feelings whenever you decide that you want to be happy instead of being sad. Or want to cry on purpose to release tension. I was listening to music I loved, was dancing in my room and felt happy. But I felt also tensed inside. What I did was that I changed the music and started to think about something that made me really sad, for example about a break-up. I did it until I cried and then I used different music again and different thoughts to pull myself out of sadness and be happy again. It was just a small thing I did now and then, but very powerful because it taught me that I have the power to decide how I feel. Besides your thoughts and feelings, the action is the third important part to create your best life. The action is what will ultimately give you the results. Whether it`s strategic planning or your behavior both are aiding you to create your best life. For example by using the LEVEL 10 LIFE wheel of assessment. Think about your best possible life. If money wasn’t an obstacle how would you live? Not only imagine but envision and really feel into your best possible life. Take your current life situation and your desired life situation and set smart goals for the gap between where you are right now and where you want to be. Break down your smart goals into yearly, quarterly, monthly goals and finally into weekly and daily tasks. If you don’t know how to do it and need any guidance with this step check out the SLAY YOUR GOALS PLANNER. See which habits would bring you closer to your goal and establish supportive habits to reach them. Check out HOW TO FORM NEW HABITS to get started. Learn to appreciate what you have and practice gratitude daily. The 5 MINUTE JOURNAL is a perfect tool to help you do so. Create a vision board and use positive affirmations daily. Keep in mind that these affirmations will only work if you believe them. For example Saying I’m a millionaire when you are broke won’t help. Only say affirmations to yourself which you truly believe. Try to formulate the affirmations neutral or positive. In this example instead of saying I’m broke or I’m a millionaire you could tell yourself “I can handle money well” or something you believe in. For best results choose a friend, family member or colleague with a similar goal then you have as your accountability partner. Check in on each other with your accountability partner regularly and motivate each other to reach your goals. No matter which circumstances you find yourself in, it´s up to you how you think about them. We think about 60.000 thoughts per day from which the majority is negative. This is due to the fact that our brains no 1 priority is to keep us alive. Therefore it´s always processing and calculating risks. power over our thoughts and influence what we think. What we think will instantaneously influence how we feel. Our feelings are always in connection with our thoughts. Thoughts we think, influence the way we feel and our feelings influence our actions. Our actions are responsible for our results in life. These results exclude outer circumstances we don´t have control over. It only includes the results we have under control for example: passing an exam at university, launching a new business etc. In case we aren´t satisfied with our results, we can evaluate our actions. We can also track back the feelings we had and thoughts we thought which created our results. The other way round we should be mindful about our thoughts in the first place and mindful about our feelings and actions to create the results we desire. 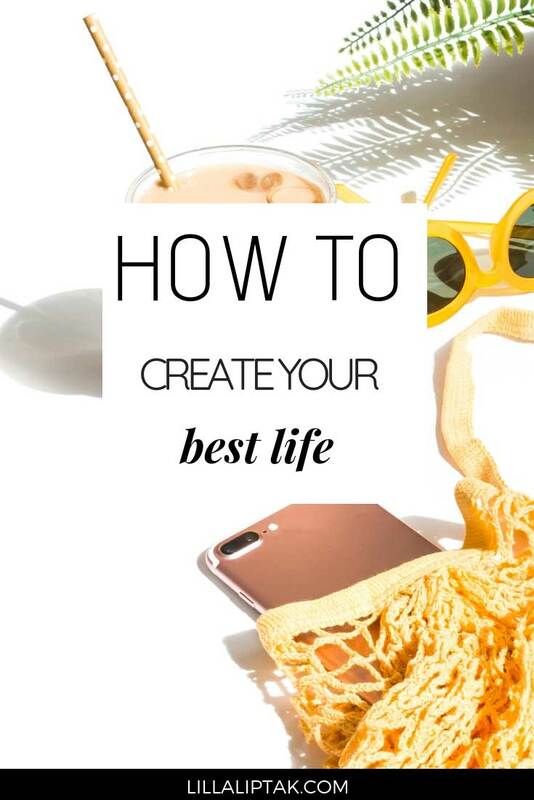 What´s your no 1 tip to create your best life? Share it in the comments below!